What the Truck! is a collaborative animation that was created over the course of six hours by dozens of first-time or amateur animators at the Lost Horizon Night Market. 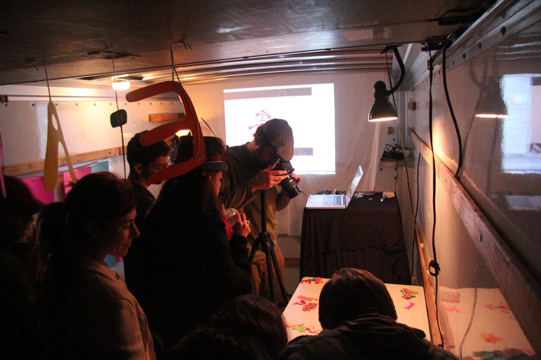 Inside a pop-up animation studio in the back of a box truck, contributors created their own characters and props from construction paper, then picked up animating where the last person left off.